Like many other households, winter tends to be the time of year when comfort food hits our table. Dishes like curry, pasta, casserole and all those heart warming things that make you feel snug when it is cold outside. And while I love all that winter brings at times I can’t help but feel somewhat weighed down and longing for a little warmer weather. However, one of my favourite things about the cooler months is the citrus season. G’s Mum has several lemon trees and a gorgeous lime tree too. More often than not, I am the fortunate recipient of the luscious fruit that the trees produce and finding ways to use them is a lot of fun! I have been making lemon curd for many years and it is one of my favourite things to make to use an abundance of fruit. Normally I would grate the zest by hand, sieve the eggs and add the lemon juice and sugar. Then I would stand at the stove for twenty minutes stirring the mixture until it reached the desired consistency. Although I really wanted to make it this year I didn’t want to it the traditional way because I simply didn’t have the time. After looking at a few different methods I decided to put my faith into “Hermie” (our trusted Thermomix). The recipe almost looked too simple. The result of me contributing five minutes of my precious time and Hermie doing the rest was an amazingly rich, creamy, tangy curd with a bright yellow hue that reminded me of summertime and the warmer weather to come! Place sugar into TM bowl, mill for 15 seconds on speed 10. Add lemon peel, mill for 20 seconds on speed 10. Scrape down jug, add butter, eggs and lemon juice. Cook for 20 minutes at 90°C on speed 2, without measuring cup. Insert measuring cup and mix for 25 seconds at speed 6. Pour into 2 hot washed jam jars with twist-off lids and close immediately. Cool completely before storing in the fridge. 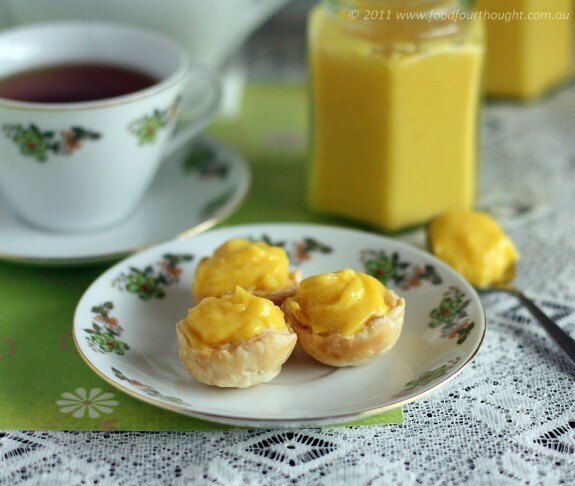 My tips/alterations: *I used Meyer lemons which gave this a fantastic yellow colour. *I used sterilised jars to ensure these would keep as long as possible. 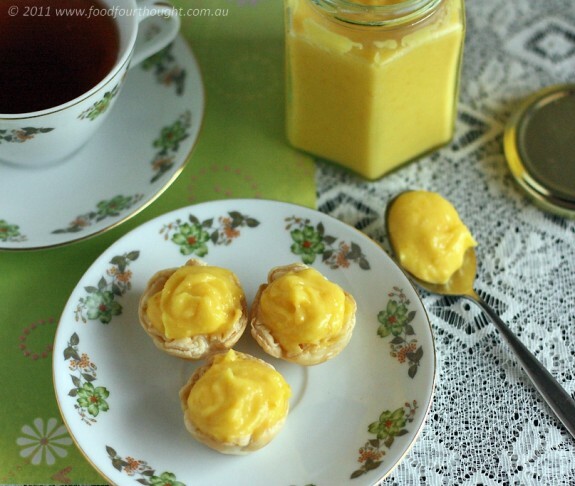 *I love to make mini tart cases and fill them with lemon curd for a quick dessert. * This can be served on wholemeal toast for breakfast. ease: 9/10. The hardest part is peeling the lemons. total: 31 mins + cooling time. taste: 8/10 – This was a well balanced curd with a fantastic colour. The consistency was lovely and thick just like my traditional method version. clicked on ‘Dairy free” and this was one of the recipes that came up, tho further reading shows the addition of butter….is there a way of making it dairy free..? I just made my own recipe using your directions to make it in the thermomix. Results? SUCCESS! For the person who posted before me, I made mine with coconut oil in place of the butter. Dairy free! Thanks so much for your comments. Thanks France for the tip, I’ll change the recipe. lovely recipe………….tastes great, have filled some jars for presents, to die for! !